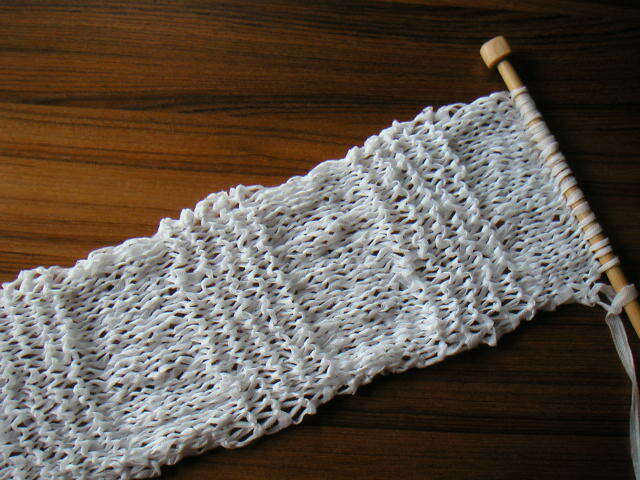 Here's the R2 scarf so far. It's knitting up very quickly on number 13 needles. I'd probably be done with it if I could work on it for more than 30 minutes a night. Once the scarf is done, you take the Rag and just thread it through the width of the scarf, so it's more like decorative fringe. I also started in on the other half of the vest the other night. I hope that will be completed by next weekend!